Independent Media is a myth. It never exists.There is a line one cannot breach. If you breach that, the big and powerful fellows destroy your life.Lot of honest journalists are killed, assualted for questioning big shots. If a media goes to haunt the government, govt will definitely play revenge on them. Eg. Tehelka's life was made hell for sting operation during the period of Vajpayee govt.They bloomed only when UPA was in power. 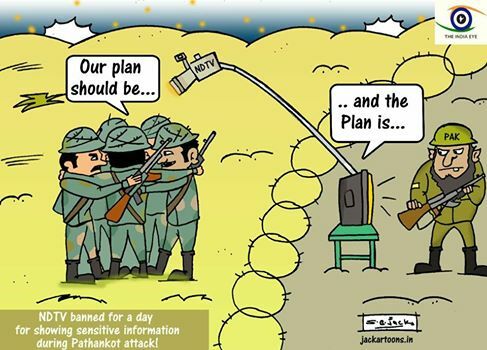 if Media goes out of line to help anti india forces , then also the government will make life hell for them..